Network topologies describe the ways in which the elements of a network are mapped. They describe the physical and logical arrangement of the network nodes. 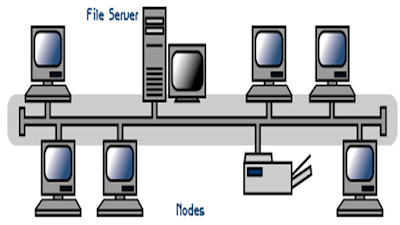 All the nodes (file server, workstations, and peripherals) on a bus topology are connected by one single cable. A bus topology consists of a main run of cable with a terminator at each end. 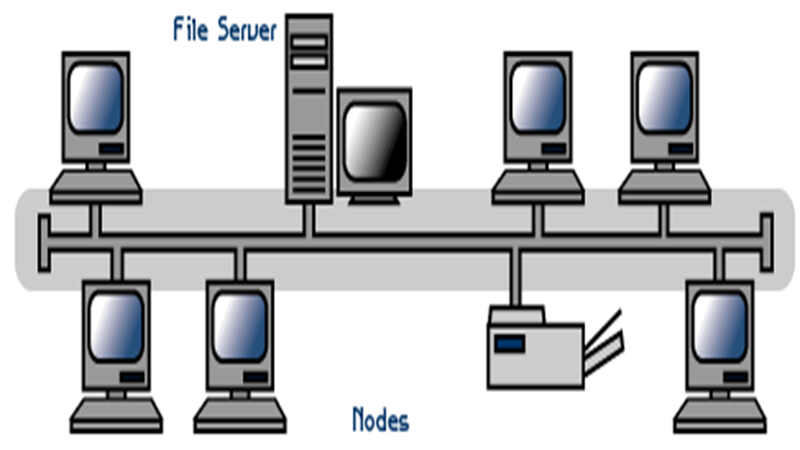 All nodes (file server, workstations, and peripherals) are connected to the linear cable. Popular on LANs because they are inexpensive and easy to install. It is Cheap, easy to handle and implement. It is best suited for small networks. The cable length is limited. This limits the number of stations that can be connected. This network topology can perform well only for a limited number of nodes. 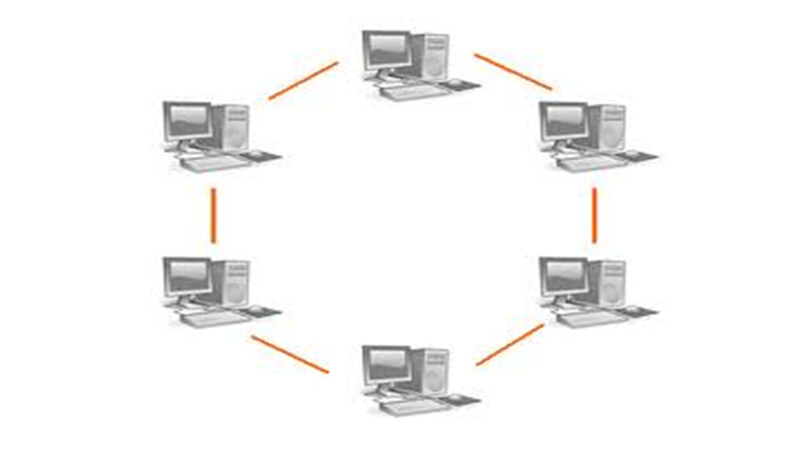 In a ring network, every device has exactly two neighbors for communication purposes. All messages travel through a ring in the same direction. A failure in any cable or device breaks the loop and can take down the entire network. A token, or small data packet, is continuously passed around the network. When a device needs to transmit, it reserves the token for the next trip around, then attaches its data packet to it. Very orderly network where every device has access to the token and the opportunity to transmit. The failure of a single node of the network can cause the entire network to fail. The movement or changes made to network nodes affects the performance of the entire network. 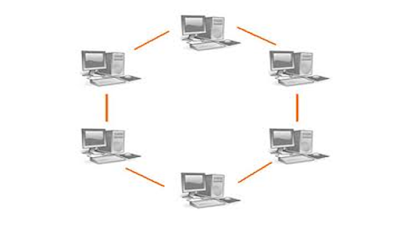 In a star network, each node (file server, workstations, and peripherals) is connected to a central device called a hub. 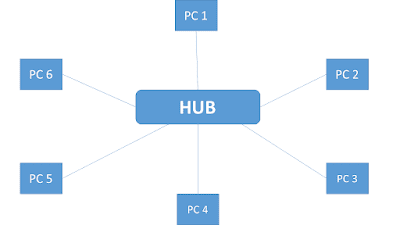 The hub takes a signal that comes from any node and passes it along to all the other nodes in the network. Data on a star network passes through the hub, switch, or concentrator before continuing to its destination. 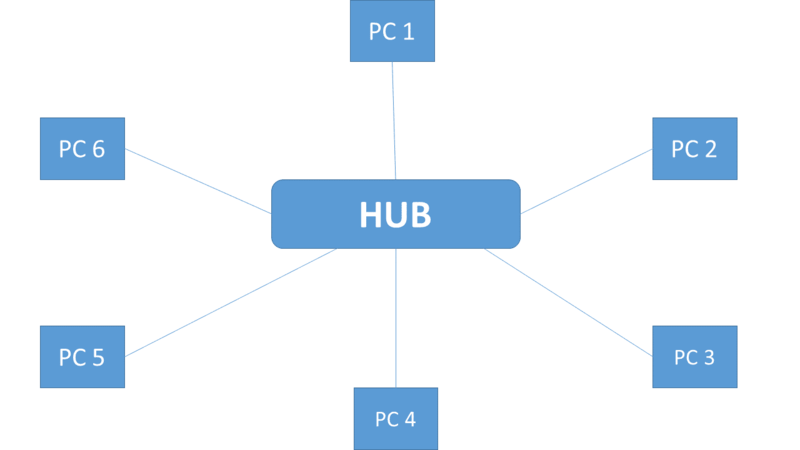 The hub, switch, or concentrator manages and controls all functions of the network. The star topology reduces the chance of network failure by connecting all of the systems to a central node. Easier to expand than a bus or ring topology. If the hub or concentrator fails, nodes attached are disabled. More expensive because of the cost of the concentrates.